I was always impressed with the versatility and modularity of the platform. Like the stereotype suggests, I saw it as LEGOs, but for adults. Buy the baseline rifle, and you can mutate it into something entirely different. So, with that in mind, I purchased the Colt LE6920, long regarded as the baseline for modern AR-pattern rifles. A semi-auto clone of the military’s M4 rifle, the LE6920 is built to military specifications, obviously lacking certain features like select-fire (full auto) of course. Robust and reliable, I’ve since put more than 5000 rounds through it with zero issues. But why an AR? Why not an AK or a traditional hunting rifle? They should do the job for sport and defense, right? Yes, but the AR is uniquely suited to those roles. To understand this, one needs to know the history and development of the platform. A little history on the AR. 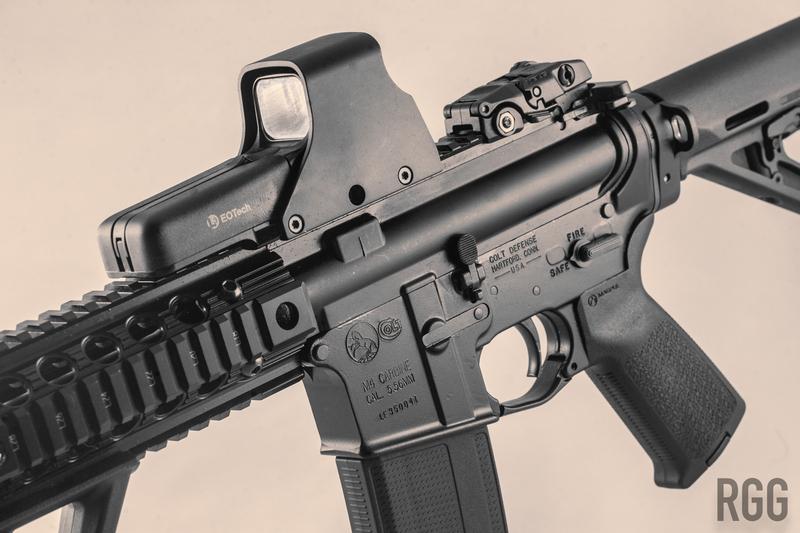 Developed by ArmaLite (that’s where the “AR” comes from - AR does not mean “Assault Rifle”) in the 1950s to fulfill a US military requirement, the AR-15 broke new ground in the world of service rifles. Instead of heavier .30 caliber cartridges, the decision was made to focus on small & fast cartridges, such as the .223 Remington or the 5.56mm NATO load. Beset by financial difficulties, ArmaLite sold the design to Colt in 1959. Colt made some modifications, and from those was born the M16, which is still in military service today. The AR-15 trademark was then reused for a civilian semi-automatic version of the gun, which proved moderately popular with sportsmen and enthusiasts. In the following decades, the Colt AR-15 remained a relatively niche product in the consumer world, though law enforcement agencies did acquire them in significant numbers, as the acquisition process was much simpler than it was for the AR’s full-auto M16 brother. In the early part of that decade, after a notorious shooting incident in California, politicians clamored to “do something”, and that “something” was the Assault Weapons Ban. Passed in 1994, the ban restricted the sale of rifles with a military appearance, such as the AR-15 and the AK-47. Unlike most laws passed restricting something, the AWB caused a sudden jump in sales of the AR-15. People clamored to get their hands on one before the ban kicked in. A niche rifle became popular overnight, because the government was going to ban it. With the onset of the law, “pre-ban” rifles sold for a huge premium. 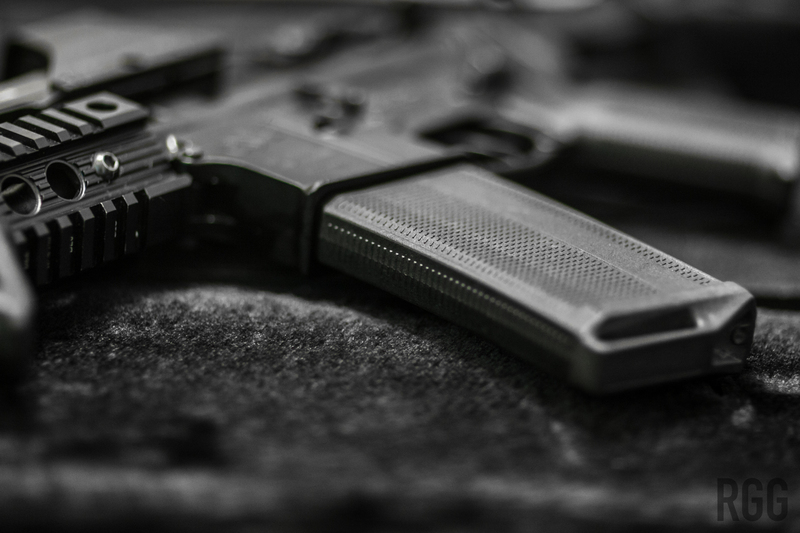 Thankfully, the ban was repealed in 2004 after studies proved it was ineffective at stopping crime, and the NRA and other gun-rights organizations undertook an aggressive campaign to let the law’s “sunset provision” continue unabated. 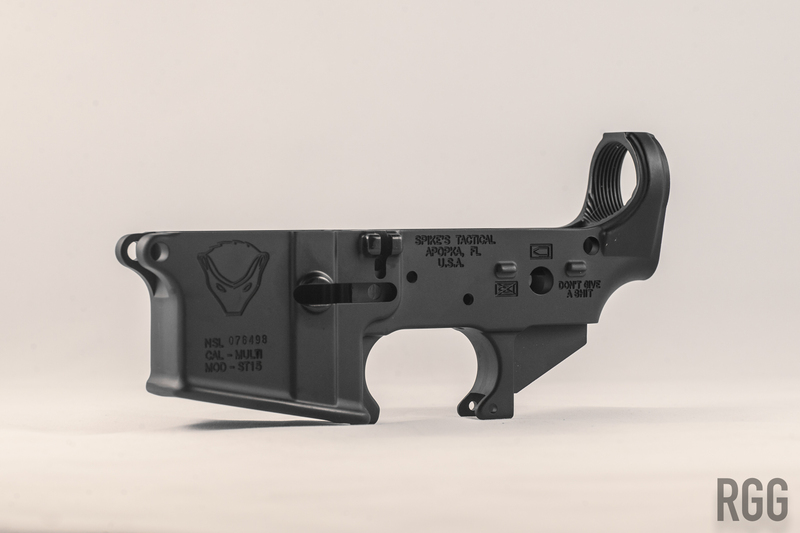 The lifting of the ban led to an explosion in the AR market. Though Colt owns the trademark for “AR-15”, the design is public domain, and plenty of companies have taken advantage of that. What Makes The AR Special? Even with the firearms market cooling off after the election of Donald Trump, ARs prove to be a hot seller for almost any gun dealer. Walk into a gun store and if there’s someone buying a gun at the moment, chances are that he or she is buying an AR. So what’s the big deal? Sure, it looks like the M4 my cousin/brother/uncle has in the Army, but it’s just a rifle, right? Your standard AR-pattern rifle is chambered for the .223 Remington/5.56mm NATO round. This round, while effective out to about 200 yards, is a very forgiving one to shoot. The recoil is manageable, and the manual of arms (the operating procedures of the gun) is easy to understand. To load and make ready is a simple procedure. Firing the weapon is not a taxing activity. The original spec called for ease of use, as the military only required an eighth-grade education at the time the rifle platform was developed. And, it’s very modular. The AR is the most versatile rifle platform on the planet. Starting with a basic lower, you can mix-and-match components, such as fixed and adjustable stocks, different grades of triggers, from standard GI ones to match-grade Geissele pieces costing hundreds of dollars, and a whole variety of grips, braces, sights, rail attachment systems, scopes, lights, laser aiming systems, and so on. So, you’ve made the decision to pick up your own Evil Black Rifle™. There’s thousands of permutations of the AR out there, ranging from basic rifles costing around $500, to $4000 wünderguns by bespoke manufacturers so underground, even hipsters haven’t heard about them. First off, don’t go for the wündergun. If you haven’t mastered the platform yet, the expensive rifle will give you a good case of buyer’s remorse. You’ll miss, though that miss will be as accurate as hell, i.e. the bullet will travel to where the gun is pointed at, even if it’s pointed where you don’t want it to be pointed at. The “sweet spot”, in my opinion for a first AR is between $700 and $1100. This price point will get you a reliable gun from a quality manufacturer. However, anyone can slap together an AR, price it in that sweet spot, and hope to make a sale. So here’s what to look for in that rifle. The bolt carrier group is the mechanical part of a firearm that blocks the rear of the chamber while the propellant burns, but moves out of the way to allow another cartridge or shell to be inserted in the chamber. In an AR-pattern rifle, the “BCG” also contains the firing pin. The BCG in your first AR should be “full auto”, which basically means it has a lug to engage the full-auto firing feature in a machine gun. In a semi-auto AR like you will be buying, obviously this won’t happen, since your AR is missing a few parts (most notably an auto sear - a restricted part) that enable full-auto fire. A full-auto BCG is heavier and more reliable, a critical factor in any firearm. M4 Feed Ramps. If an AR has this, the manufacturer will advertise it. Basically what the feed ramp does is it guides the round into the chamber as it is pushed forward by the bolt. Standard feed ramps are cut into the barrel extension. Bolt pushes round forward, it hits the feed ramp, gets chambered, done. An extended feed ramp cuts down into the upper receiver of the AR itself. By extended the feed ramps even further, you can help eliminate possible feeding problems. Say, if the bullet is slightly off-centered when feeding. A normal feed ramp may not catch it, causing the rifle to jam. An M4 feed ramp will catch it, and you can keep firing. Most rifles in the “sweet spot” price range will have this. The trigger pull should be around 5.5 to 6 pounds. You can pop in a lighter one later if you want. Metallic components on the rifle should be made with 7075-grade aluminum or better. In layman’s terms, this type of aluminum alloy is very robust and reliable. The rifle should ship with a carbine-length gas system or a mid-length gas system. What the “gas system” does is divert some of the propellant gases back to the chamber to cycle the next round. A mid-length gas system is considered ideal nowadays, but under most conditions, a carbine-length gas system will suffice. Carbine-length is mil-spec, actually. The rifle should ship with some basic fixed or flip-up sights. Magpul BUIS are nice. The rifle should have an accessory rail system at least on the top to allow you to attach an optical sight of choice later on. The rifle should ship with at least 1 30-round magazine, or whichever capacity is the maximum allowed if you live in a restrictive jurisdiction. There’s a few other things to consider when purchasing an AR. You have to feed it (ammo), and you have to clean, lube, and maintain it. Ammo: Any of the well-rated ammo at luckygunner.com will suffice. Biases aside, Lucky Gunner tests the heck out of what they sell, so their ratings are spot on. My personal recommendations are anything by Federal, Winchester, or IMI for training, and anything by Speer or Black Hills for defensive use. Cleaning. I advise picking up a can of Break-Free CLPfor basic cleaning duties. Once in awhile, treat components with Breakthrough Clean solvent. This will strip off old lubricant, fouling, and residue. You’ll have to re-lubricate the components afterwards though. Lubricant. While CLP lubricates fine, I’ve become a fan of Breakthrough Clean’s Battle Born high-purity oil. It’s non-toxic and lasts forever. Plus it bonds to metallic surfaces for extra protection. Some brands are more equal than others, as they say. Please note that I have no official relationships with any of these brands, I’ve only used or reviewed their offerings. Note, these are in that “sweet spot” of $700-$1100. Colt. Colt set the standard for the AR platform. You’re kind of ‘paying for the pony’ as they say, but with that price you are getting as close to the mil-spec as possible. I started with a Colt, you might want to, as well. Aero Precision. This Tacoma-based outfit turns out some great wares at surprisingly affordable prices. The rifles are to mil-spec and beyond, and they just run. They have a huge selection of ARs with a whole host of customizations to suit most shooters, new and old. GNAR. I reviewed their GNAR 15 a few weeks ago and found it to be pretty slick. They kit out their rifles out-of-the-box with stuff most manufacturers charge extra for. If you want an AR that won’t need any upgrades for awhile, go GNAR. CORE 15. Located here in Florida, CORE builds some solid ARs for both the civilian and professional market. Accurate enough for just about anyone, and I’ve never experienced an issue. Jumping into the world of America’s Favorite Evil Black Rifle™ is easy to do, but it’s also easy to do wrong. You might save a few bucks at the beginning, but then you’re layering on accessories and upgrades to make up for the manufacturers shortfalls. While you shouldn’t go full-bore and sell your firstborn for an AR, going low isn’t advisable either. You’re buying the rifle to shoot reliably and accurately for recreation and defense of self, family, and home. It’s gotta go bang and it’s gotta do it accurately. Pick wisely, and your first AR will serve you well for a lifetime.